On the 4th of October TRGA’s Year 7 boys football team entered a 7-a-side tournament at Woodkirk Academy. Eight teams were entered in the tournament from schools around south Leeds including Morley, Royds and Woodkirk. The Ruth Gorse team managed a 2nd place finish, thanks to some outstanding performances from all involved. This was an incredible effort considering it was the first time the team had played together. There were some stand out individual performances as well: Darryl kept clean sheets in all the games he played in goal, thanks to some world class saves and some vital interventions from Ousoumane in defence. Darryl also managed to score the goal of the tournament, when he played outfield, with a deft flick over the defender and a calm header to lob the oncoming keeper. Bremner put in some quality performances in midfield, with crisp passing, calmness on the ball and scoring a spectacular solo effort. The boys were exemplary in their conduct both on and off the pitch and have set the standard for TRGA teams to live up to. 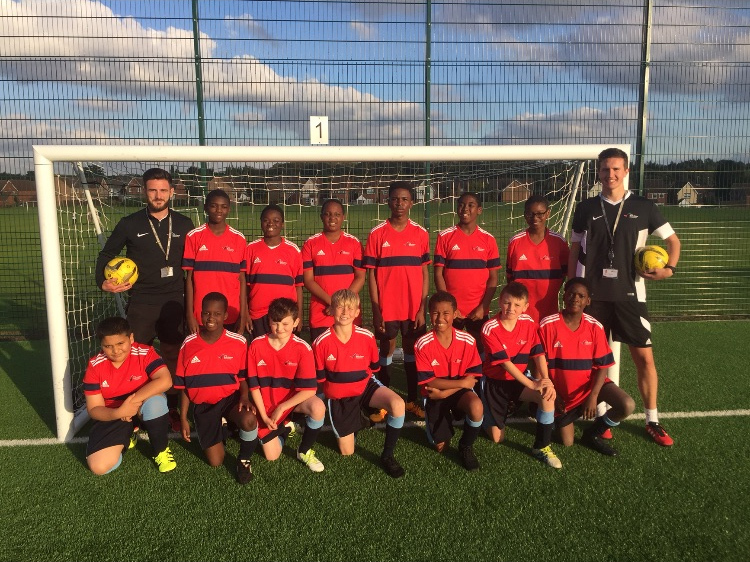 The future looks bright for Year 7 football.